Here, you can decide whether a form will be designed for entering or viewing data. 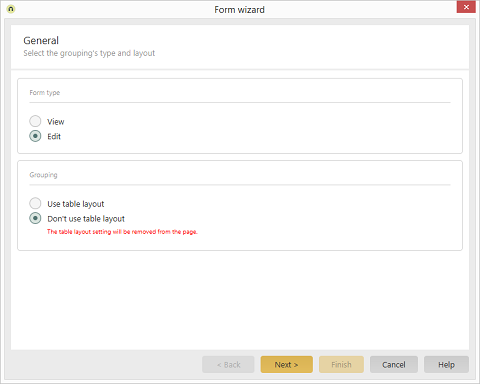 The "Edit" option is only selectable if the form wizard was opened from an edit page. With this option, a grouping will be created that uses a table layout. With this option, a grouping will be created that does not use a table layout (DIV container).